There is a disconnect between managers and creatives. Managers of all levels need time sheets because their jobs depend on them. Creatives get no benefit from time sheets; project work is far more important and interesting. Doing your time sheets should feel like winning. They’re a record of what you accomplished. They’re a tool that can focus you and make you more productive. 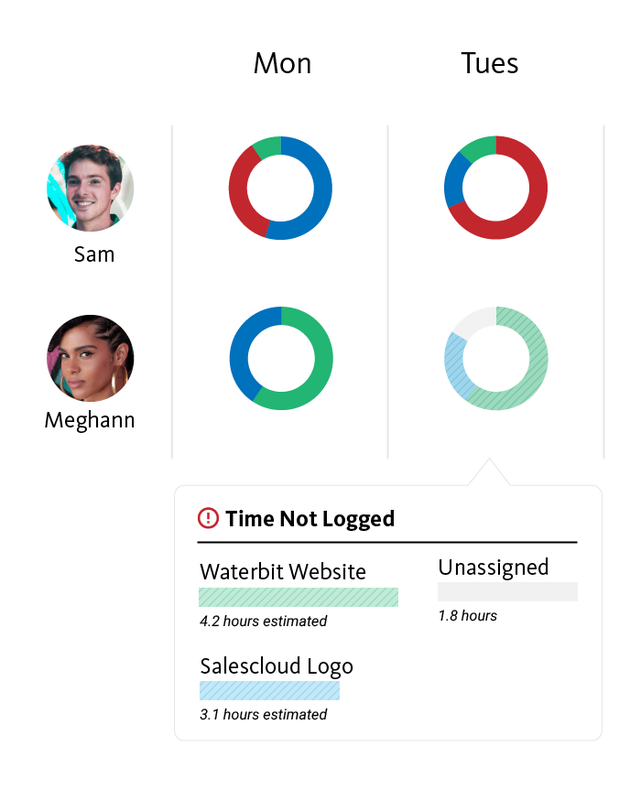 Instead of doing time sheets by hand, Clockk’s “digital agent” automatically groups the things you do throughout your day by project. The private calendar view is visible only to you, the creative — we will never share any of it with your employer or anyone else on your team. With your memory refreshed, it will only take a few seconds to complete an accurate, detailed time sheet. Use your time sheet to reflect on what you got done, what your obstacles were, and to create a strategy for getting more of that precious, focused time. As makers are making, Clockk is actively allocating work done to projects and estimating the time spent. Long before time sheets are actually completed, project managers already know if a project is under, on, or over budget. With each project, Clockk shows the number of hours logged, and the number of hours estimated (to be logged). Together with your task management tool such as Trello, JIRA or Asana (or others! ), Clockk will estimate your project’s actual delivery date. Even with Clockk, sometimes makers get too busy for time sheets. Clockk’s real-time team view shows at-a-glance which employees have completed their time sheets for each day. Gentle in-person reminders just when the maker has a bit of free time bring delinquents back into the fold. Management has never before had access to so much critical information so early. Senior managers can finally rest easy knowing that they have the critical data they need. Send invoices with confidence; control the levers that affect profit; get a birds-eye view of your staff utilization and capacity. Leverage historical data to get accurate budget and delivery estimates. Clockk will show you right now how profitable you are (or aren’t) so you can save the ship before it sinks. Experience how Clockk will make your agency ridiculously profitable on every project. Sign up now for your 14-day free trial. Fill out the form below, and we’ll get in touch within a day.